A good book makes me hungry. It’s not just because I am a food blogger, it’s just the visual imagery used in fiction is very much akin to the imagery of food using all the senses. Remember the tomato and cheese sandwiches that the famous five packed in brown paper bags and rode of on the bicycles to solve mysteries, or the honey and treacle cookies that the fairies made in the enchanted forest, or were they the pixies. Whether it was food made by pixies, fairies or goblins, Enid blyton filled my childhood with food cravings like ginger ale and other exotic items only the fairies had. Another book which made me go all culinary was game of thrones, but it seems someone else also had the same idea and voila they even published a book and it’s available on amazon! So, when I read Veronica Roth’s divergent series, and yes I read all three divergent, insurgent and allegiant, and nope this blog post does not have any spoilers. 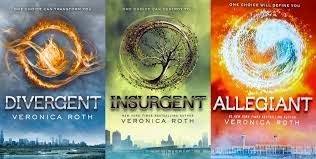 Well, when I read the Divergent series, I realised what a great food faction we could create, I ofcourse would be a divergent because every food faction has some amazing food worth trying. Erudite: these guys are like the brains of factions, they love a good complex chemical solution to get there teeth into. The books say that fizzy drinks are their speciality and so all kinds of cocktails and mocktails would be part of this faction, needless to say they would be served in flasks and beakers ala a chemistry lab. A true mixology. To really up the game these guys are the ones who would be creating all the molecular gastronomy. Think Heston Blumenthal and liquid nitrogens. DIY food kits, and lengthy complicated recipes with a lot of food chemistry would be their forte. Dauntless: These are the men and women in black of the factions. They climb on and jump off of moving trains, they love a good challenge as long as it’s something full of grit and strength. Their symbol has a flame of fire and that pretty much means that their food would be all things barbeque. Grilled meats, basting a roast pig, juicy steaks, sizzling veggies but not too much veggies, these guys love their proteins. The books mention a delectable chocolate cake and we shall ofcourse have it on a sizzling plate, may be even a flambé. Abnegation: dressed in drab greys these guys can be a real joy kill, but hey they have a good side too, they love community. So food which serves best in communal eating, think giant bowls of communally served hot pot soup, prepped at the table, or cheesy fondues with people sitting around tucking in to some heart warming, cozy community building food. Maybe even a full fledged Lebanese mezze, or a Kashmiri wazwan. The only requirement, well every one must eat from the same serving plates. Sharing is caring for the abnegation. Candor: These guys dress in black and white and no shades of grey for them. What about an entire meal in just b;ack and white? Truffles, and black squid ink, white feta cheese and black olives, Manipuri black rice, white rasgullas. A black forrest cake or a zebra torte. Amity: these guys are the bohemian farmers. Organic food and vegan diets would be their call. Rainbow coloured salads, fresh veggies in pizzas and wholesome rataouilles and caseroles. No artificial flavours or colourings, farm fresh and organic would be the key words. Think green smoothies, green papaya salads, fresh fruit and non dairy cream. 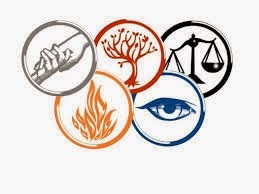 Factionless: so these guys clearly are not a faction but they are a very bonded group none the less, and interestingly the books delve a lot into their eating habits. They it seems eat out oif cans and here’s the thing , they pass the cans on to the next person. Cant picture it? Well think of sharing a joint or a hukkah, one swig, pass to the person on gthe right, yup that’s the imagery I had too, very ghetto. These guys forage for their food and foraged food is a big draw these days, infact it is just about the most in thing to do. A speciality foraged menu then, complete with edible leaves, flowers and micro greens.